You are on the right page if you are looking for a great deal on a low priced, high quality bicycle. Some of these bikes we bought on closeout, and we can offer you a great deal. Some of these bikes may have just sat around too long and we want to get rid of them. Sometimes the new model year changes dramatically, and we want to close a bike out with low pricing to encourage a fast sale. There's lots of reasons a great bicycle may go on sale. 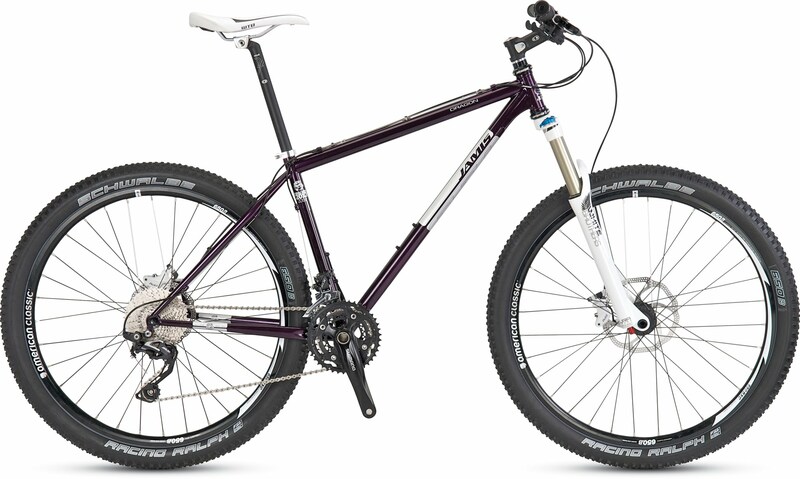 Well, if you want to know about the best deals on bicycles in our bike shop here in State College PA, then bookmark this page and keep an eye on things. 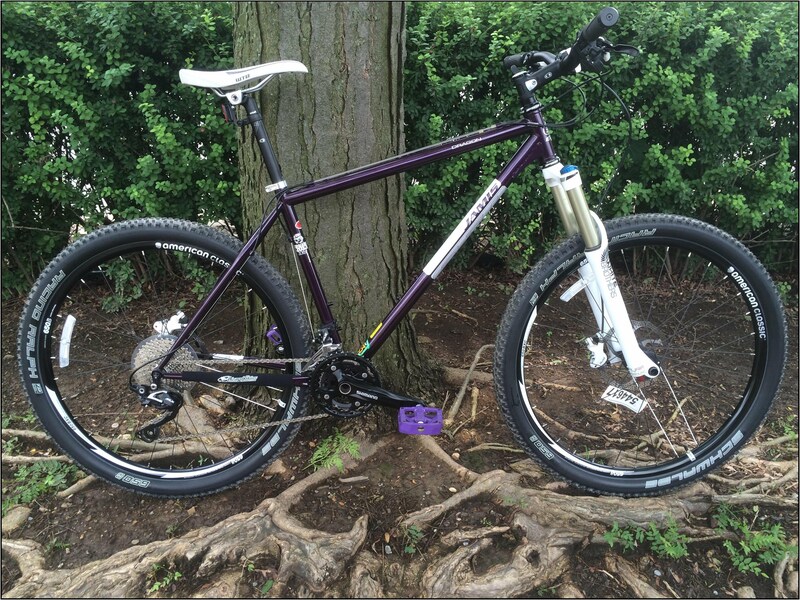 You may also want to check out our Used Bikes, too. Stop down anytime to check them out as well, our used bikes are parked right in front of our store on E College Ave, near Penn State Campus. 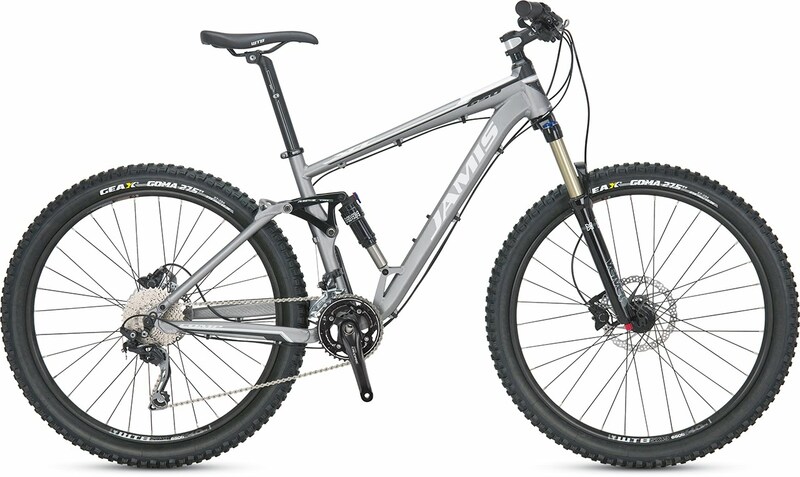 The Dragon 650b is Jamis's steel 650b mountain bike with Trail geometry; a very popular bike for Jamis. The Dragon 650b created a lot of buzz for Jamis when they were kicking off their hardtail 650b lineup. This particular model year is actually the 20th Anniversary of the fabled Jamis Dragon. Its really great that Jamis has been developing and refining and adapting the steel MTB that helped put them on the map 20 years ago. Most other big box companies have all but forgotten about steel MTB's, and its really a shame, because its tough to beat the feel of steel. Especially, this kind of steel; Reynolds 853 double butted, air-hardened, heat treated steel. Nothing rides like a Reynolds 853 frame; its the perfect blend of compliance and rigidity. It is lightweight yet exceedingly durable. The classic look of the steel frame is very appealing, and its refreshing to look at a bike that has no frills and distractions. Absolutely an amazing bike...and now it can be yours for just $2250! $650 savings on the most fun bike you will ever own. The parts kit on this steel MTB steed is no joke, either. White Brothers fork with a very plush 120mm of travel; you won't believe how light this fork is, not to mention the really cool lock out function, which is different from everything we have seen thus far. The complete Shimano SLX drivetrain is no slouch, and in most cases we prefer it to the more high end Shimano kits since it is durable, and cheaper to replace worn or busted parts. The Avid Elixir 5 brakes feel really great, despite all the bad press SRAM brakes have received lately. The Dragon comes equipped with Schwalbe Racing Ralph tubeless tires, and tubeless ready rims, so that's a huge plus. The American Classic wheelset is one of the lightest 650B MTB wheelsets available. A Crank Bros cockpit rounds out the wonderful list of components. We do not normally stock Kona bicycles anymore due to our limited showroom floor space, but we happen to have one really nice Kona commuter bike in stock right now. The Roundabout is a steel, mixte frame bicycle with a classic, retro-look to it that seems to please a lot of people. 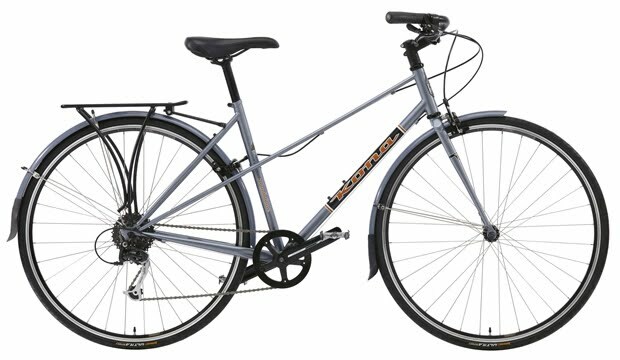 It has a casual, upright riding position due to the back swept handlebars; a wide range of gears due to the 1x9spd drive train; rear rack and full wrap fenders are included; and a Kona chromoly double-butted steel frame. Commuting in style. This bike is most appealing to riders who believe form should exist alongside function. "In the effort of style and functionality, the rubber meets the road with our all-new Roundabout. Built using the sweet feel of Cromoly steel, blended with traditional Mixte styling, this is a simple, well-priced, excellently styled city bike. A single chainring up front with 9-speed gearing in the back and designed for an upright, comfortable riding position, with the flexibility to take fenders and a rear rack, the Roundabout is all about getting it done avec fun."